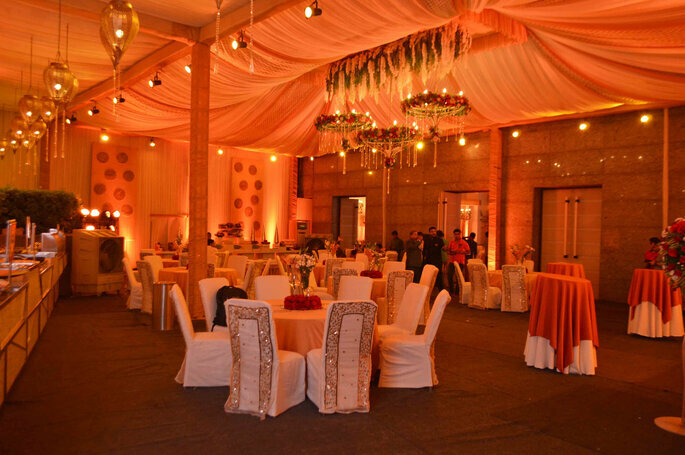 Are you looking for the perfect venue in Delhi to celebrate your wedding? 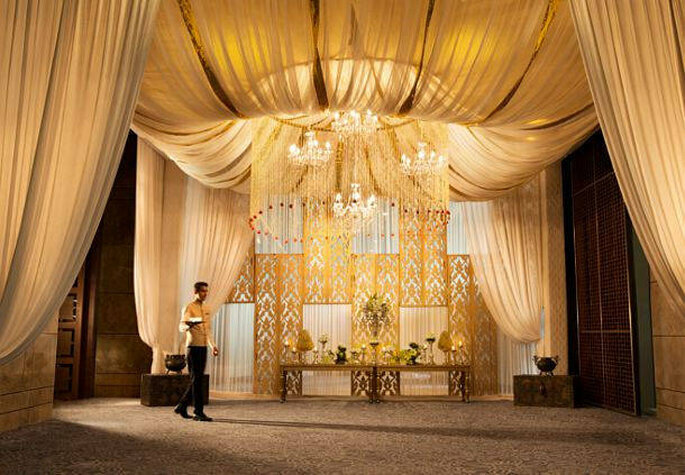 To make the process easier, we have made a selection of the Top 10 Five Star Wedding Venues in Delhi to choose from! At Zankyou we know that planning a wedding is a complicated task. Each of these venues stands out for its unbeatable location, surrounded by nature and wonderful views that will make your big day unforgettable. Each location has something that makes it special. Do you want to discover more? Take note! Yes, it is your wedding and the most important part is to select the perfect hotel for your luxury wedding. The Leela Hotels and Resorts owns and operates five properties in India. 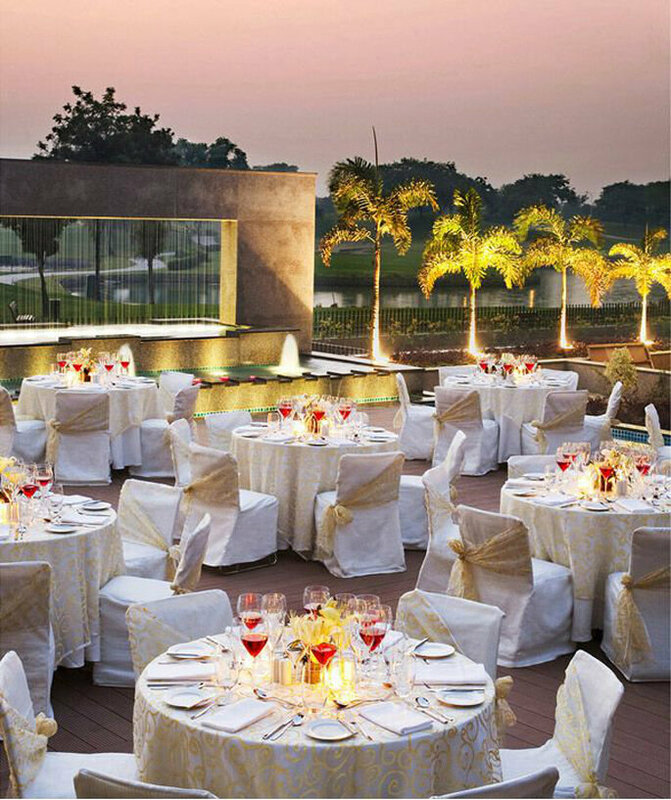 You are on the right track by selecting luxury hotel The Leela for your luxury wedding. This property is located in a prime location of Delhi. The Leela Centre is spread over 70000 sq. feet, has a total of 480 rooms and suites, and can seat 3000 guests in theatre style. Finding the wedding venue of your dreams can be a very difficult task. So here you go! 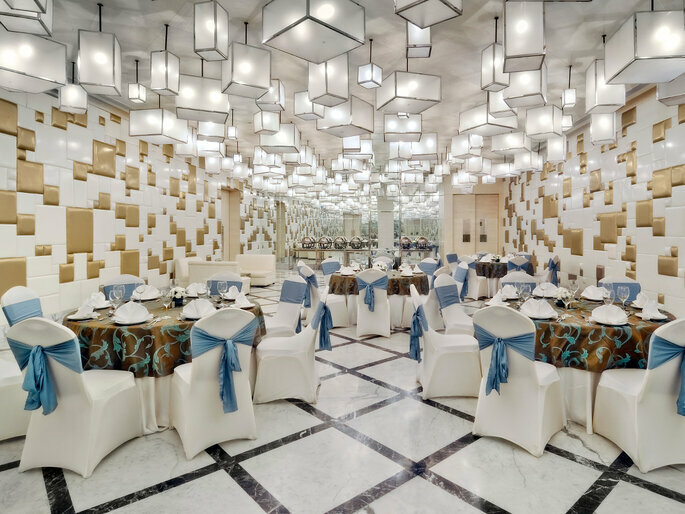 The Lalit is located in the heart of the business area of Connaught Place.The best thing about The Lalit is that it is minutes away from upscale shopping centers, heritage monuments, and neighborhoods buzzing with cafés and bazaars. They provide the best for their guests at every level. 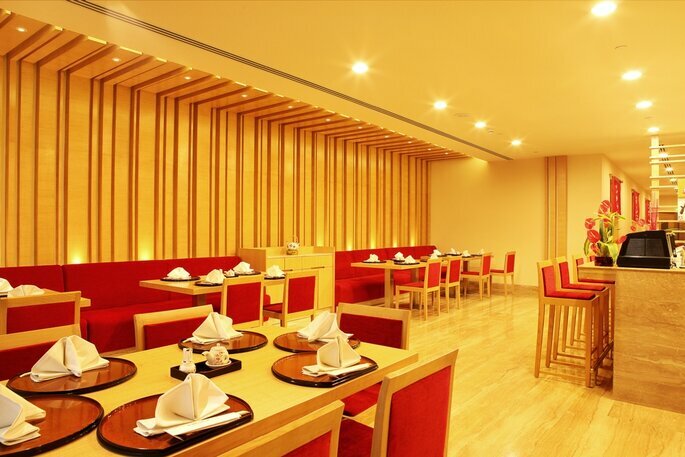 Contemporary style and elegance best describes Jaypee five Star Luxury Hotels. With a chain of luxury and deluxe hotels in India, Jaypee Group has not only emerged as a trusted brand in the hospitality industry but promises to deliver utmost comfort to the customers. Every magical creation of Jaypee is aesthetically-designed and sufficiently accommodative. An exclusive destination for weddings and pleasure, these masterpieces exemplify splendor at their best. Ultimate luxury, lavish accommodation, superior amenities and signature cuisines, the extremely gorgeous creations of Jaypee Group are no less than some of the most renowned 5 star hotels in India. A pageant of superfluity and grandeur, the boutique hotels of Jaypee Group exhibits magnificence from every corner. Le Meridien Gurgaon discovers a classic blend of urban culture and modern art, nestled in the midst of the millennium city of Gurgaon. Spread across 3.5 acres of lush green landscape overlooking the tranquil view of the Aravali Range in contrast to the sensational gurgaon skyline, this upscale hotel is strategically located in the heart of Gurgaon making it easily accessible and a preferred location to experience business and leisure in its truest sense. With 285 artistically styled rooms and aesthetic suites catered to pamper your every sense, Le Meridien Gurgaon aspires to create an everlasting experience every single time. 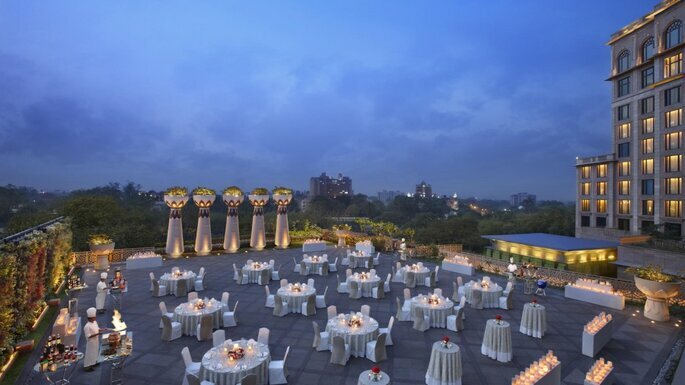 Le Meridien Gurgaon boasts of an exclusive Club Lounge on the 11th Floor with a fish eye view of the city. One can savour a private breakfast session overlooking a panoramic view of Gurgaon, and enjoy relaxed evenings with our signature cocktails. The interactive Le Meridien Hub located at the lobby level, sets a platform for business meetings and social interactions with exclusive features like Sparkling Evenings, Illy Coffee and Signature Éclair sessions. Your culinary experience begins with Latest Recipe, offering inspiring worldwide cuisines on a platter carefully crafted by our award winning chefs. 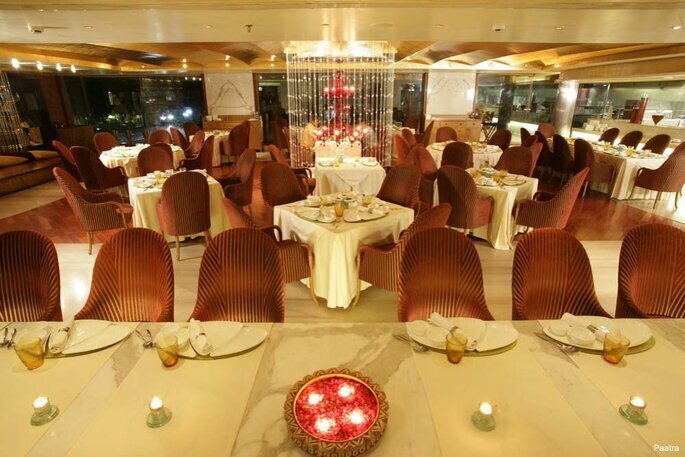 With a wide range of selections from Teppenyaki, Lebanese, Mediterranean and Traditional Indian cuisines, one can experience the entire world on the table. 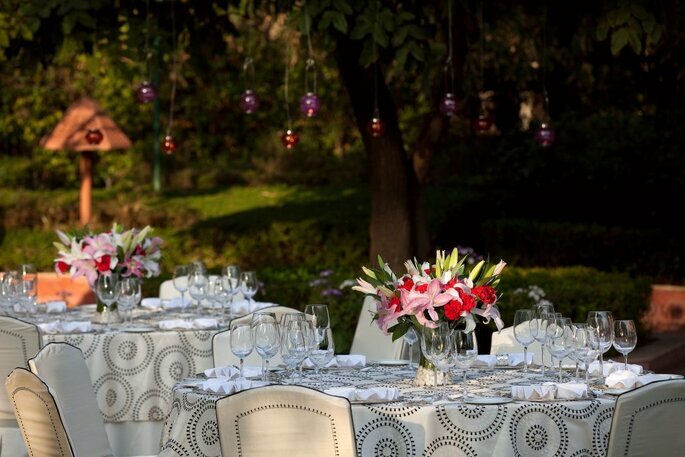 At the wonderful Taj Palace you and your guests will be able to celebrate your wedding to your liking. Its different areas, inlcuding the attic with wonderful views of Delhi, can be privatized depending on the needs you have. 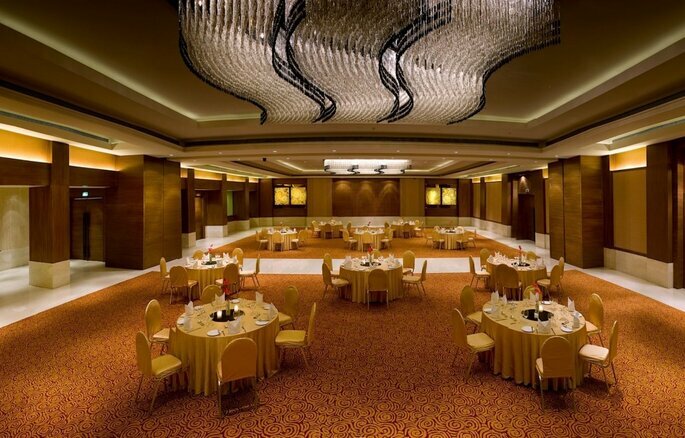 The deluxe room has a maximum capacity of 800 to 900 people for your wedding ceremony. You cannot miss the opportunity to celebrate at this magical place! Looking for something out of the ordinary? The JW Marriot features unique architecture and design, as well as its its own wedding planners that can help you customize your big day. Located at a distance of about 215 yards and a 7 minute drive away from the Indira Gandhi International Airport, this stunning property provides for the ultimate guest experience with 523 rooms, inclusive of 29 suites and one Presidential Suite. JW Lounge the casual lounge space and the Oval Bar serving premium spirits. A luxurious Spa & Salon, Fitness centre and a lavish outdoor pool are on-property as well. Additionally, it has six well-equipped state-of-the-art Meeting Room facilities, two of which are a part of the Business Centre, all providing high-speed wireless internet. 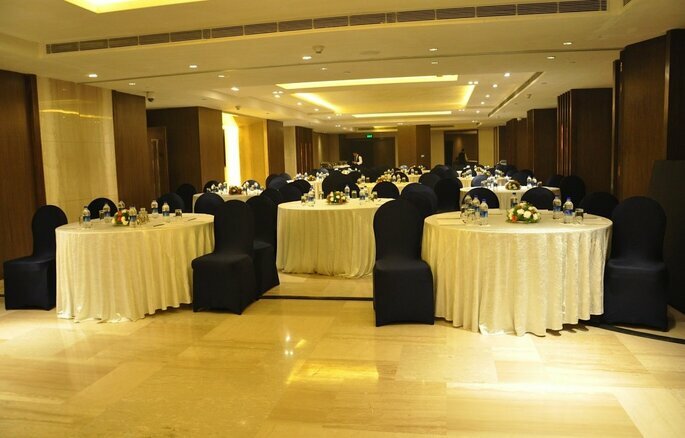 With 24,000 square feet of flexible event and meeting room space, we are also a premier destination here in New Delhi for a corporate convention or wedding. Whether you are joining us for weddings or leisure, we look forward to your visit at the JW Marriott Hotel New Delhi Aerocity. The hotel also provides guests with on-site parking and smooth check-in facilities. Jaypee Greens Golf & Spa Resort is one such super deluxe creation of Jaypee Group that not only offers great space for ardent golfers but provides luxury accommodation and takes complete care of the recreational aspects as well. Meticulously designed by the veteran golfer Greg Norman, this golf & spa resort is a visual treat for all the travelers as well as sports persons. Strategically nestled at the lush green premises of Greater Noida, this magical creation is enclosed by the abundant sweep of greenery hence wins any visitor’s heart in one go. Built on 9 acres, this super luxury designer resort in Greater Noida offers 170 harmoniously designed rooms including 152 deluxe rooms and 18 suites, seven fine dining experiences, an exotic kid’s zone, a world renowned Six Senses Spa and banquet & conference facilities for 30-1400 persons at one time. 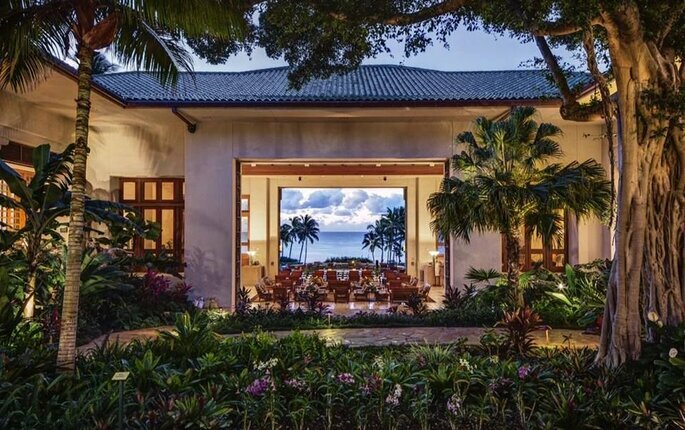 The moment you step inside this beautiful resort. 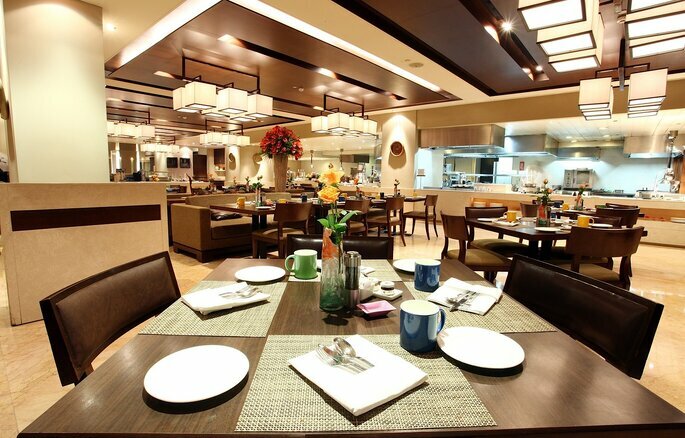 Hotel: Jaypee Greens Golf & Spa Resort. From The Radisson Blu, you will have spectacular views on your wedding day. 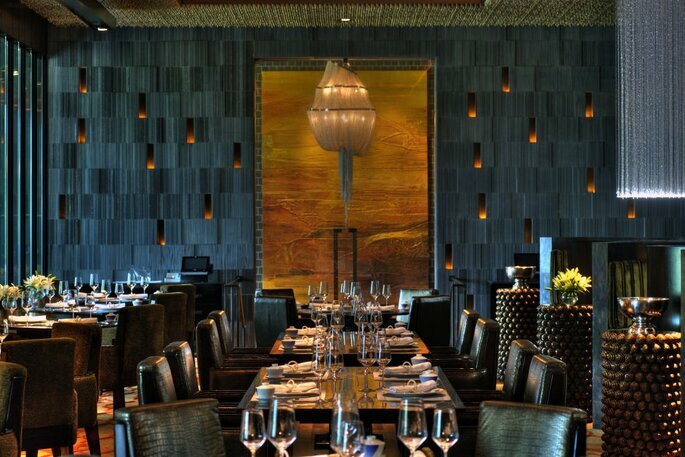 The restaurant’s dishes use quality products and always have innovative touches. Weddings can be stressful. Luckily, the Radisson Blue includes a spa providing full therapeudic services to relax your muscles. It is luxury hotel with innovative design and modern music for a wedding of the highest quality! Begin planning your special day with the help of our expert wedding staff, and choose from elegant settings decorated to your desire. On-site catering options include a variety of options, from Indian to Italian cuisine, and can accommodate sit-down receptions as well as banquet buffets. 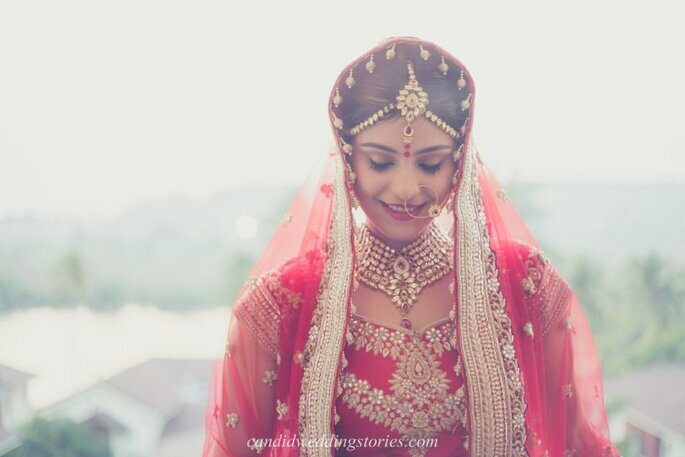 When it’s time to get ready for the ceremony, our beauticians and makeup artists ensure you are the picture of perfection, and after all the excitement, you can relax in the spa before retiring to a plush room or suite. 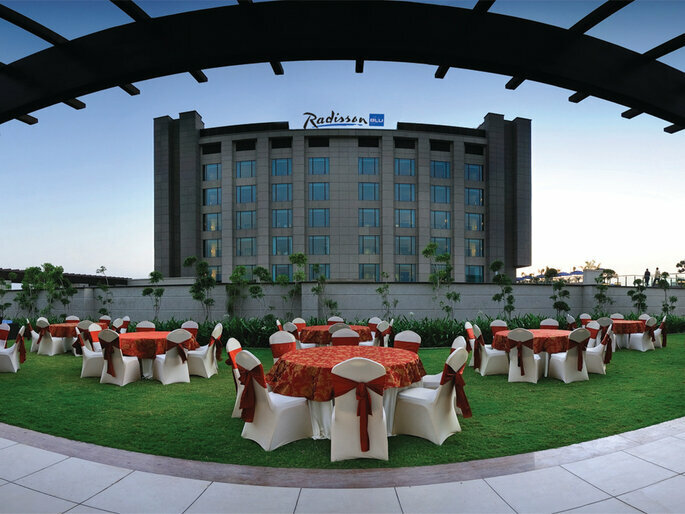 The Radisson Blu Plaza in Delhi is ready to create a dazzling day for you. Inspirational and people-focused, our team of wedding planning professionals desires to make your dream a reality. 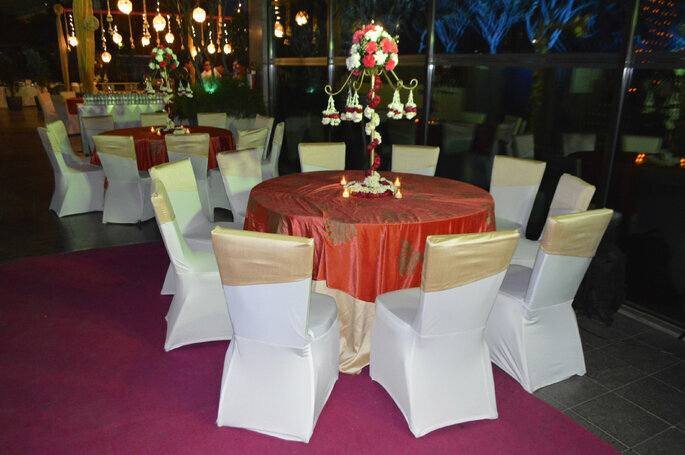 The Metropolitan Hotel & Spa team specializes in weddings and will make your big day unforgettable. They have 178 rooms for your guests to stay in. 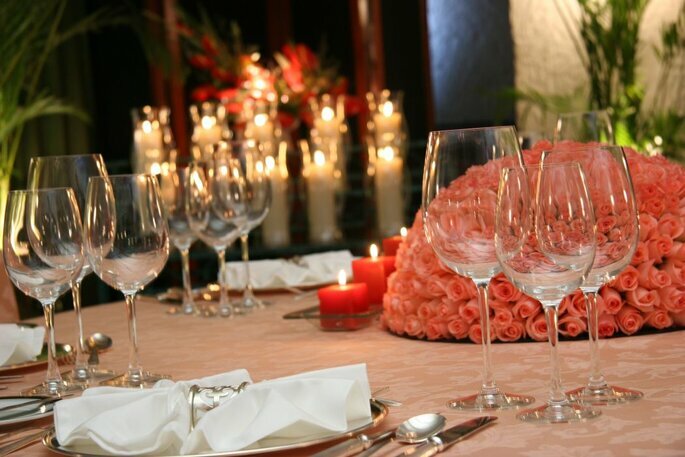 In addition, they will improve your wedding with the perfect menu, designed and prepared by their expert team of chefs. The Metropolitan Hotel & Spa New Delhi is a Five Star Deluxe full service hotel located in the heart of the business and commercial hub of New Delhi and provides easy access to most of the corporate and financial centres ministries embassies and the International Trade Fair grounds. The Met is the perfect destination for organising your grand wedding. This urban oasis with its luxurious ambiance and lush landscaping is an experience in itself. Each of the meticulously designed guest rooms and suites at the hotel features personalized comfort, luxury and all the necessary amenities to satisfy the modern discerning traveler. Add a classy, stylish, and elegant touch to your big day! This hotel is one of the leaders of contemporary luxury in the city. Its interior is modern with spaces that gracefully blend with the classic style of the rooms. This place offers three restaurants with delicious food to make your wedding day even more special. 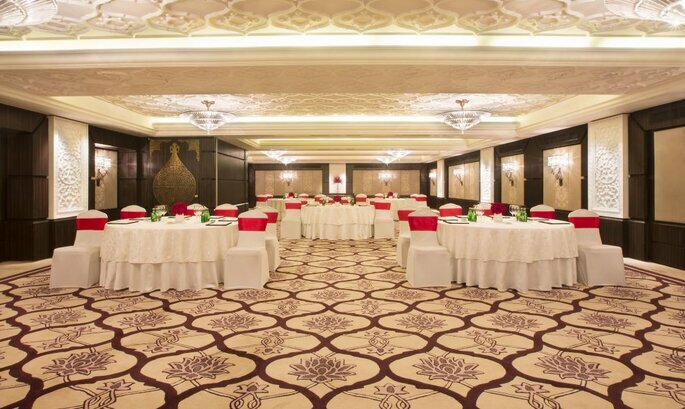 With stunning roof top meeting venues with natural light and marvellous views; beautiful venues set amidst the lush green environs of Lutyens’ Delhi, the hotel is home to the elite of the world. 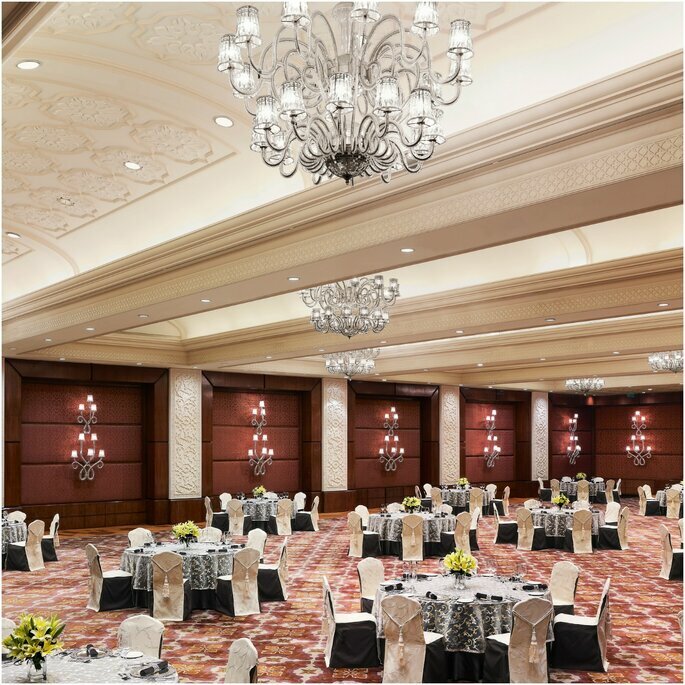 The Taj Mahal Hotel, New Delhi is the preferred venue for high profile events like weddings and parties worldwide CEO meets and board of director’s conferences. Some of the most exclusive venues overlooking the city, offering a panoramic view are Longchamp and Villa Medici. The warm and friendly staff takes care of all meetings with great attention to detail, understanding the needs of every meeting and offering attentive and unobtrusive service. 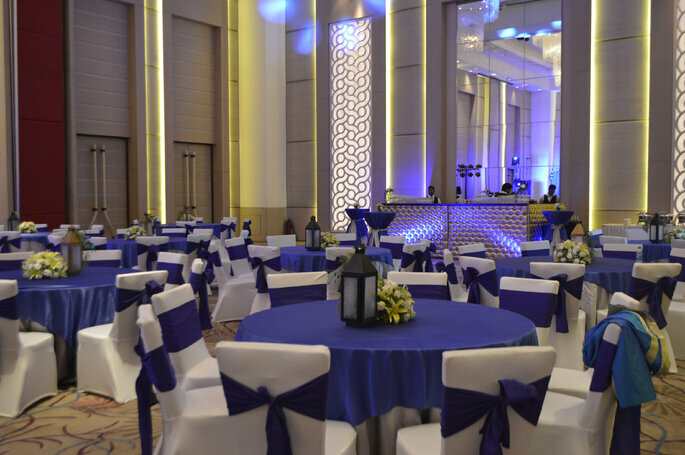 Six banquet spaces with a capacity ranging from 20 to 400 persons auditorium style or 20 to 1000 persons for cocktails receptions provides many options to the guests. The Terrace Garden and lush green Poolside Lawns set beautifully amidst Lutyen’s Delhi are popular for alfresco dining parties and city socials. Are you looking for a hotel that is completely renovated with modern style? The Hayatt is one of the city’s most exclusive hotels and features 507 rooms. If your guest list is long, you do not need to go anywhere else. 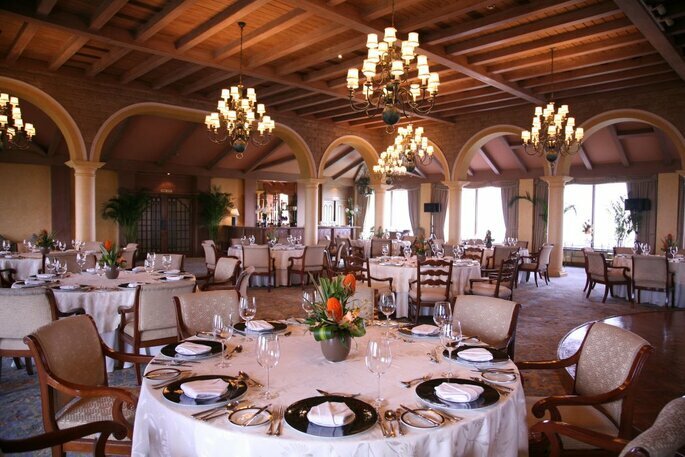 This place is a great choice to accommodate your guests and make your wedding memorable. It allows you to customize every detail of your wedding so that everything can be perfect. Hyatt Regency Delhi, one of the luxury five star hotels in Delhi is located in the city’s central business district, 20 minutes drive from Indira Gandhi International airport and ten minutes from the Embassies, corporates and shopping hubs. 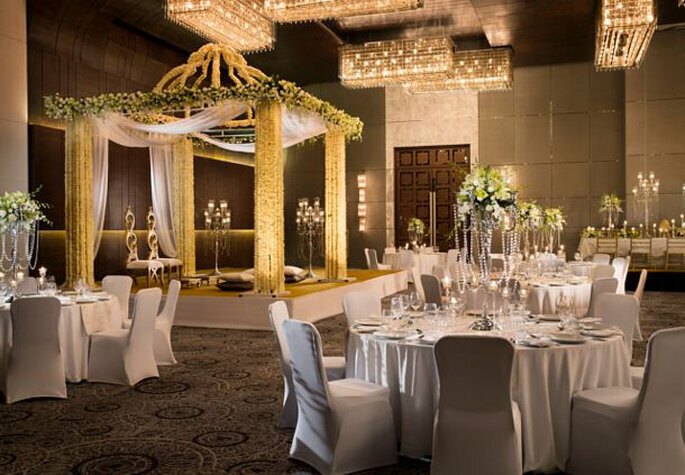 If you wish to learn more hotels in Delhi to celebrate your wedding do not waste time and visit the Zankyou’s vendors directory. 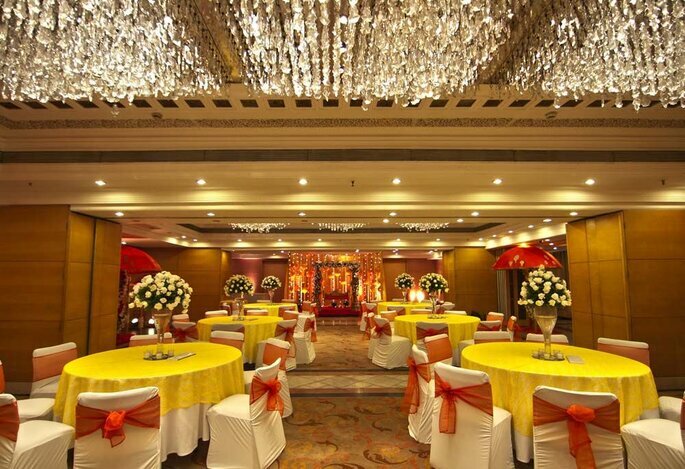 If you are thinking about celebrating your wedding in one of the best hotels in Delhi, these hotels are for you.